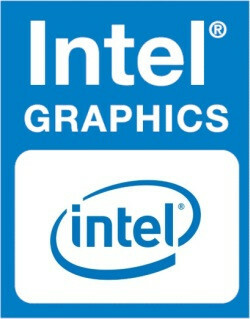 The Intel UHD Graphics 630 (GT2) is an integrated graphics card, which can be found in various desktop and notebook processors of the Coffee-Lake generation. The "GT2" version of the GPU offers 24 Execution Units (EUs) and the clocks depend on the CPU model. Due to its lack of dedicated graphics memory or eDRAM cache, the UHD 630 has to access the main memory (2x 64-bit DDR3L-1600 / DDR4-2133). Compared to the older HD Graphics 630 (Kaby-Lake), the newer UHD GPU is identical but can be clocked slightly higher. The exact performance of the UHD Graphics 630 depends on various factors like TDP, L3 Cache, memory (DDR3/DDR4) and maximum clock rate of the specific model. However, it should be fairly similar to the HD Graphics 530 and HD Graphics 630 and therefore only suited for low demanding games like Overwatch or Farming Simulator 2017 (low details). The features of the UHD 630 are the same as for the HD 630 and therefore H.265/HEVC Main10 profile at 10-bit color depth are supported in hardware. Furthermore, HDCP 2.2 is also supported in all chips, which allows Netflix 4K videos, for instance. HDMI 2.0 however is still only supported with an external converter chip (LSPCon). The UHD Graphics 630 can be found in several notebook and desktop processors of different TDP classes (35 - 91 W).